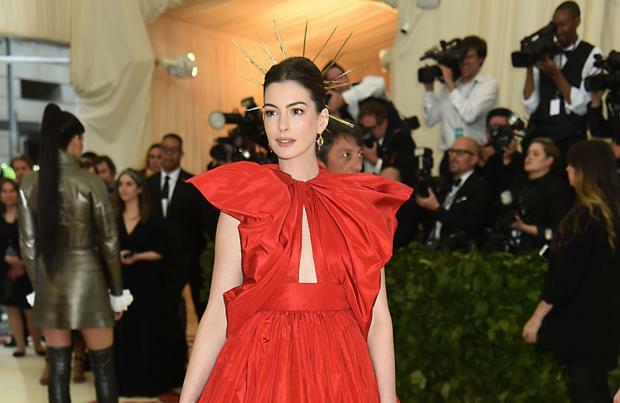 Anne Hathaway is to star in 'The Witches' remake. The 'Ocean's 8' actress was recently said to have been offered the chance to appear in the movie and 'Sesame Street' at the same time, and the 36-year-old star is now said to have closed a deal for the Robert Zemeckis film. According to Variety, Hathaway will take on the role of the Grand High Witch, which was made famous by Anjelica Huston in the 1990 motion picture. Sources close to the film say Zemeckis' version will be closer to the original source material – Roald Dahl's 1973 fantasy novel, in which a seven-year-old boy comes across real-life witches – compared to the previous movie. Zemeckis will also write the script for the new version of 'The Witches' and produce alongside Jack Rapke, Alfonso Cuaron and Guillermo del Toro. In December, it was reported Hathaway had been offered the part of Sally in the new 'Sesame Street' movie. The character appeared in the first episode of the popular children's TV series – which began in 1969 – and was given a tour of Sesame Street where she met many of the beloved characters. 'Sesame Street' combines live-action and puppetry with animation and includes a host of Jim Henson characters including Big Bird, Bert, Ernie, Cookie Monster, Elmo and Oscar the Grouch. Hathaway will appear in motion picture 'The Hustle' later this year, alongside Rebel Wilson, and she will star opposite Willem Dafoe, Ben Affleck and Toby Jones in political thriller 'The Last Thing He Wanted'. A new adaptation of Roald Dahl's scary and funny book. The story will no doubt be transplanted to America this time.